While pudding is a year-round dessert, this pudding is definitely perfect for summer! The strawberry curd on top of this pudding is like nothing I’ve ever had before, yet it somehow has the familiar texture and faint flavor of lemon curd. It is unbelievably good! The curd would go nicely inside a cupcake, drizzled over ice cream, inside a tart, or any way you would like. But on top of simple white chocolate pudding (that has only 6 ingredients- cornstarch, sugar, milk, vanilla, white chocolate, and salt), its full flavor can be enjoyed. This is an elegant dessert that is perfect for serving to company. Chill each person’s portion in an individual dish, and you can serve dessert in a snap! P.S. Those little white flowers are unfortunately the only thing growing on our strawberry plant this year, which is sort of sad. They are pretty, though! 2 tablespoons (30 grams) unsalted butter, cut into small pieces. Combine the cornstarch, sugar, and salt in a saucepan. Slowly whisk in the milk and scrape the bottom and sides of the pan with a spatula to ensure even mixing. Place the saucepan over gently simmering water and stir occasionally, scraping the bottom and sides. After 15-20 minutes, once the mixture has started to thicken and can coat the back of the spatula, whisk in the chocolate until melted. Cook for 2-4 more minutes until the pudding is thickened. Remove from heat and stir in vanilla. Strain the pudding if necessary. Pour into individual serving dishes and chill in the fridge. Puree the strawberries in a food processor until smooth. Strain. You should have somewhere between 3 and 4 tablespooons of puree. Whisk together the puree, lemon juice, sugar, salt, and egg in a saucepan. Stir in the butter and cook over medium-low heat, whisking regularly, until the curd is thick enough to hold the marks of the whisk and it barely begins to bubble. This will be after 4-5 minutes. Strain if necessary. 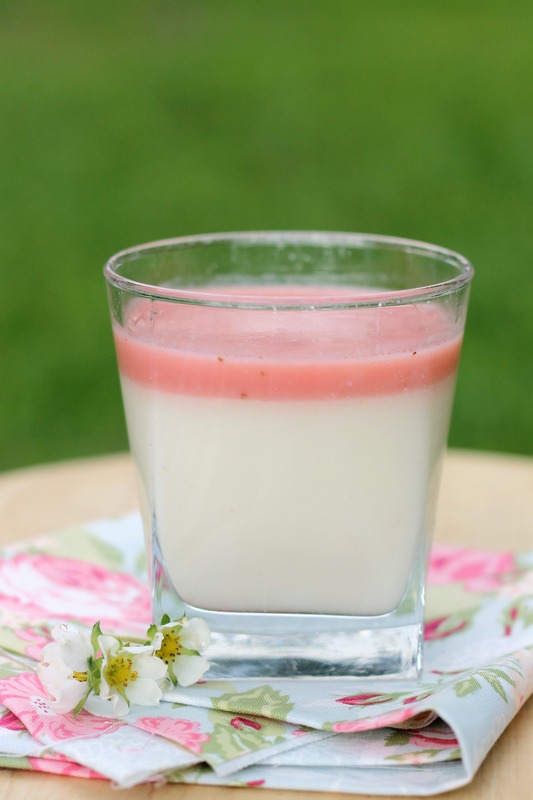 Divide curd among pudding cups and refrigerate until fully chilled. Serve and enjoy!